Welcome to Vines and Puppies Hideaway. Located 8km from world famous Jade City BC, Canada. Rustic escape on the edge of wilderness. 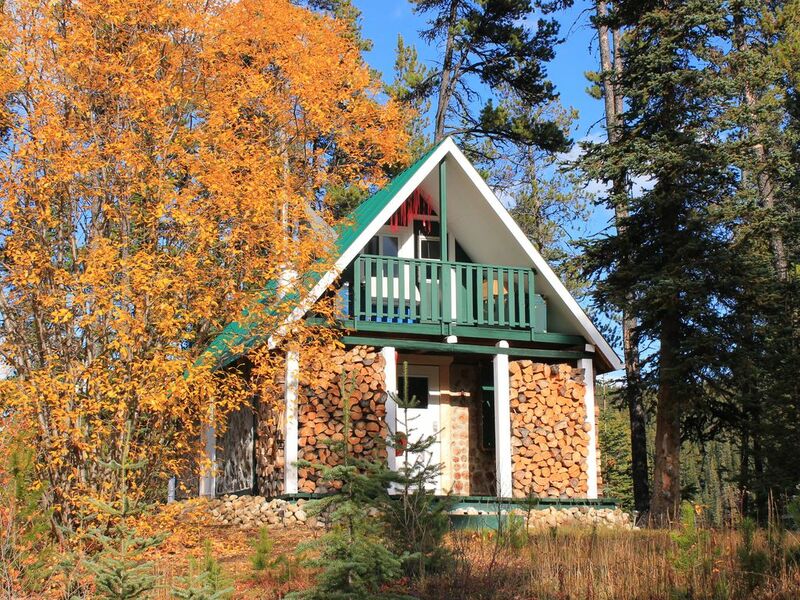 A quaint cabin with 360 degree mountain views overlooking the pristine waters of Vines Lake. Offering an off grid experience. Gravity feed water system with hot outdoor shower and a outhouse. Cabin is heated with a cozy wood stove and light is using antique lamps. The loft offers a queen bed and balcony. Downstairs you will find a full service service kitchen and fold out couch for extra guests. Dinner and continental breakfast included. Pet friendly. Please note there is no electricity, cell coverage or internet. We promise this will enhance your experience! During the winter months the outdoor shower is not operational. A unique opportunity to stay in a beautiful cabin with stunning views. Off grid yet completely comfortable! No internet, cell service or electricity and we promise this will enhance your stay. Your bathroom is a comfortable outhouse. A hot outdoor shower is available. Vines and Puppies is overlooking Vines Lake. A trail takes you to the lake where you will find a large dock. Beautiful views of Needle Point Mountian from private balcony. Cabin is heated by a wood stove. 4 Burner propane stove and the wood stove for the adventurous chef. Cupboards are stocked with the basic essentials. Full service kitchen. Everything you could need is available. Vines and Puppies is located 8km south of the Cassiar Mountian Jade. A local jade mining company. Visit the gift shop. The ghost town of Cassiar is a 25km drive. I offer guided alpine hikes, nature walks and boat tours.